Embroidered tulle with non-beaded lace appliqués over Perfecting Satin. Sheer, ruched “V” front and back necklines with short, fluted lace sleeves. 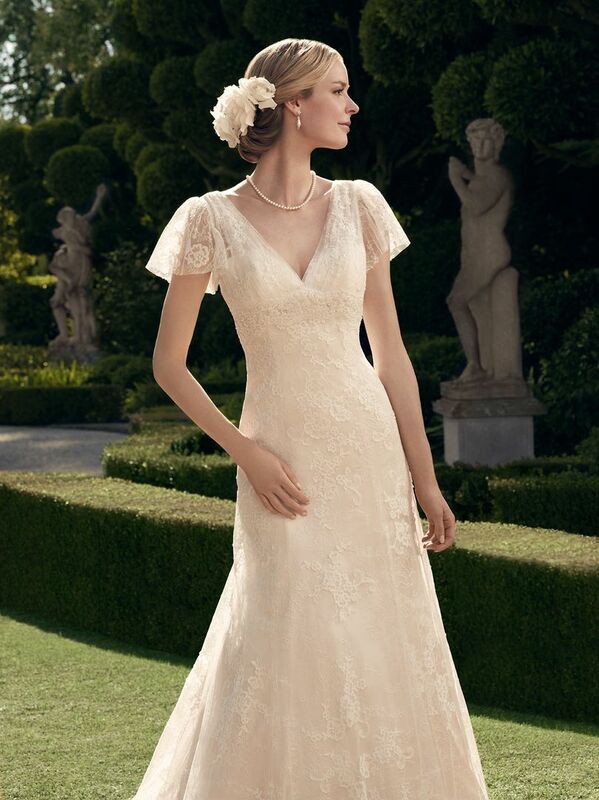 The empire waist is accentuated with beaded, eyelash fringe scalloped lace appliqués that create a band. Matching lace covered buttons are along the zipper and a scalloped trim finishes the hemline. Silky Charmeuse lines the inside of the gown, with the luxurious Silky Charmeuse against the skin.